Tree Onions are also known as Egyptian Walking Onions or Topset Onions. 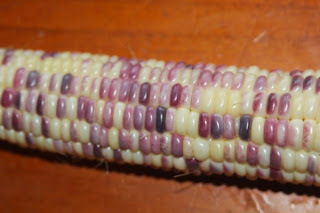 They are an old heirloom vegetable dating from back to at least the 1850's but their exact history prior to that has apparently been lost. Originally thought to be Allium cepa var proliferum but now we know that they are a interspecific hybrid between Allium cepa (the common onion) and Allium fistulosum (bunching onion). 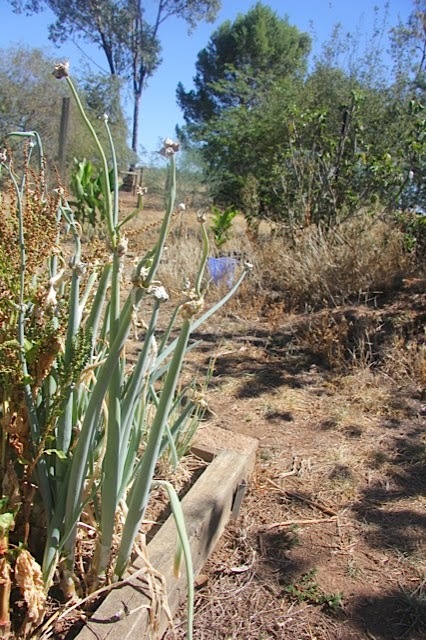 Apparently tree onions used to grow in every backyard vegetable garden in the past, but recently they have fallen out of favor and have all but disappeared in Australia. Not surprisingly they are not well suited to mass mechanical production, so it is unlikely that you will find them in the supermarket, but they are very well suited to the home grower. I have put some notes on how to grow them here. Basically they grow the same as any other onion, but are a lot hardier and more forgiving if things do not go well. They prefer a moist but well draining soil with plenty of nutrients and no competition from weeds, but will survive pretty much anywhere that is not too wet. Raising the pH of the soil is helpful for any onion, this can be done by adding ash from the fireplace or buying some lime. I have been told to harvest the bulbs when the stalks dry down, but this may or may not happen. We harvest after flowering when the bulbs look larger, or whenever the bulb looks large enough to bother digging it up. Sometimes in late summer I stop watering them so that they dry down for me, this seems to work. Tree onions reproduce vegetatively, do not set viable seed and will not cross pollinate any other type of onion you may be growing. As they reproduce vegetatively they are stable and will always grow true to type, as such they are one of the very few hybrids that I will bother growing. Just like all the other perennial vegetables I grow, they just keep doing their thing year after year just as long as I do not eat all of them. Tree onions are kind of like potato onions in that they are edible perennial onions that can divide underground. The bulbs are a little larger than potato onions, and they do not divide as much underground, and the leaves are much larger than potato onions so they are easy to tell apart. The underground bulbs of the tree onions normally grow to around the size of a ping pong ball. They then grow small onion bulbs, called bulbils, on top of the flower stalk. These small bulbils sometimes then send up a flower stalk of their own which grows more smaller bulbils. This strain sometimes produces some real flowers as well, but they wither and drop quickly as all the energy is directed to the growing bulbils. 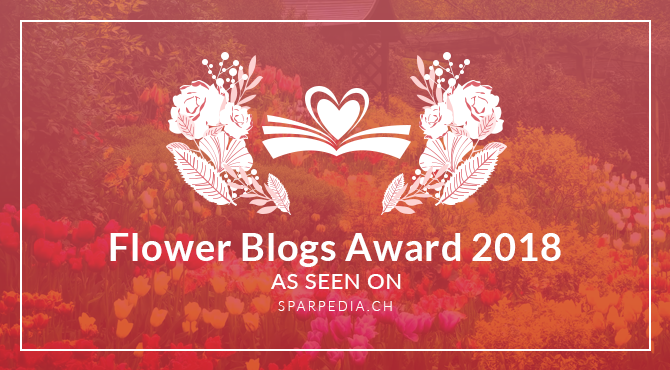 Unfortunately the flowers are only around briefly and only on a few flower stalks, I am always busy when they are around so I have not had a good look at them. I would be curious to know if tree onions display cytoplasmic male sterility or if it would be possible to remove the bulbils and get the flowers to set viable seed. If they could produce seed (even with a fair amount of intervention on my behalf) I would love to try and grow some out and see if I could produce some new varieties of tree onions. But that is a project for Future Damo as I have a lot of other things going on that are more important at the moment. The bulbils normally reach the size of a marble or a pea as the climate is so harsh here, I have seen them far larger when grown in more mild climates. If the bulbils touch the soil they grow roots surprising fast. When I have broken some of the bulbils off and planted them they always have roots by the following morning. The roots of tree onions grow deep, far deeper than you would expect from such a small plant and certainly a lot deeper than any other onion I know of. The entire plant is edible, we use the bulbs in any recipe that calls for onion, if eaten straight away they can be a little insipid, if stored for a while they tend to taste a lot stronger. The green parts can replace spring onions (we generally use the Everlasting onions for this though), and I am told that the bulbils are good pickled but am yet to try that myself. The bulbils can be picked before they sprout and stored for many months, so far I don't bother doing this and just plant them when I find time, if I don't find time they plant themselves and I just transplant them when I get around to it. The underground bulbs are meant to store for up to 18 months, I can't comment on this as I have not tried to store any because we just dig them up to eat as needed. That is the beauty of perennial vegetables, many of them do not need to be stored and can simply be dug up, broken off, pulled out, or cut down and cooked when they are needed. As well as being edible, tree onions are a garden curiosity that always attract comments from people who see them. Children love to grow tree onions even if they have no desire to eat them. Tree onions are very hardy! Tree onions are very hardy little plants, they have survived drought, flood, severe heat, and hard frosts here and still gone on to produce a decent crop. They are pretty much impossible to kill by mistake. Last year I lost most of my regular onions (as well as potato onions and a bunch of other things) to the drought and crazy heat, but the tree onions were happy, I put that down to their deep roots. They can also be grown in pots, the roots seem to either go through the drainage hole into soil below, or the roots stop growing if the pot is off the ground and they they hit air. If the pot is too small they tend to get very root bound and survive, but they do not often end up giving a large crop. Even though they are very productive and hardy I don't think they pose a weed threat at all. If you do not want any more it is simple to remove flower stalks, if you miss some and they happen to touch the soil and grow they are simply to pull up. If any parts are left in the soil they do not tend to grow unless they have part of the base plate attached to a piece of bulb. They are the cold hardiest of the onions and will survive in frozen ground for quite a long time. As well as being productive little survivors they are unusual enough to be grown in a children's garden. I have taught children who do not like onions, or any vegetables, beg me to let them grow these purely as a fun oddity. I see that as a great way to teach kids about growing food. 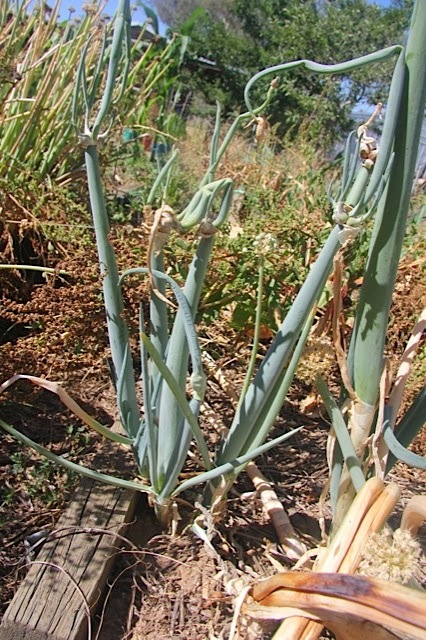 Tree onions are very forgiving and will survive and produce at least some food even in the most neglected children's vegetable garden. I first started growing tree onions when I was barely a teenager, I was fascinated by them, the thought of eating the underground bulb and replanting a small aerial bulb appealed to me. Unfortunately I lost them when I left home, it took me a few years but I am glad that I was eventually able to track them down again. I do sell tree onions from time to time on my For Sale page. They sound really interesting, I grow quite both onions and shallots but haven't come across these before. Thankyou for introducing me to them. I have never grown onions before and have planted tree onions, I'd like to know if you can eat the whole plant or just part of it? yes you can eat the whole plant. Often they don't produce a large bulb, people use the lower section of the stem or anything resembling a bulb in the same way as a regular onion bulb. Bulbils are often pickled, but I think that would be very fiddly. The leaves are edible, I find they get a bit tough as they get old but some people prefer them large and put cream cheese in them.